Maximizer CRM software provides an enterprise level CRM system with an SME focus and price. In its 25 year history, Maximizer CRM has proved time and again that it can provide the means for businesses to streamline processes, improve productivity, and increase profitability. As an off-the-shelf product, Maximizer offers excellent features, deployment and access options at an affordable price point. Maximizer CRM offers a flexible platform that can be customised to meet your requirements and match the way you want to work. From £38.00 per user, per month. For detailed pricing information for cloud deployments of Maximizer CRM hosted with Maximizer CRM Live, on-premise or private cloud deployments, please contact us. Help your sales people sell more by automating repetitive tasks and analysing what works and what doesn’t in your sales process. Optimise your marketing funnel and take control of conversations with prospects, by automating key activities and monitoring progress. Retain your customers by improving the quality of your customer services and resolving issues quickly using case management and monitoring tools. Gain new insights into your business, refine processes and spot potential problems before they arise with in-depth, customisable reports and dashboards. 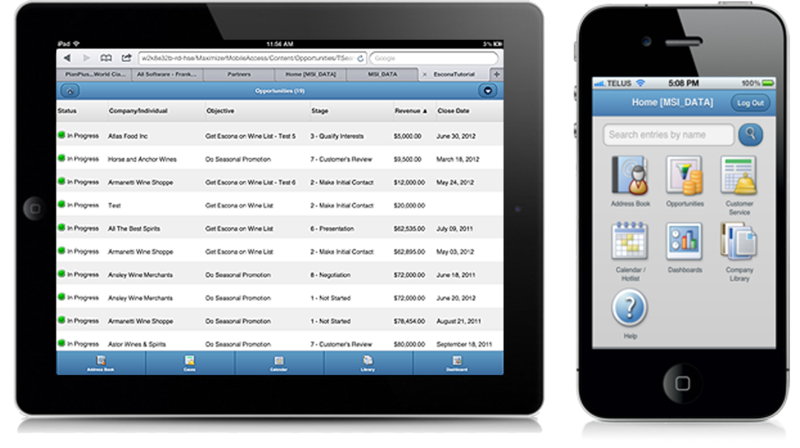 Access your CRM data from anywhere at any time with web and mobile access, keeping your sales people and remote users connected to your CRM system at all times. Customise Maximizer to meet your business requirements, evolving & adapting to meet new demands and integrating with key front and back-end applications. Connect the dots between your data and your apps with free, easyto-install integrations available from the app directory for everyday applications like QuickBooks, Outlook, Gmail, MailChimp and more. Get complete visibility into multichannel sales and deliver a consistent end-customer experience with the new partner portal. Import data into your CRM with accuracy and ease with the new data import manager. Drive data integrity with minimal effort and update multiple records quickly and easily with the new global edit function. New user experience improvements including auto-formatting for phone numbers and drag and drop. Our business first started using Maximizer CRM way back in 1996 when we had just five users. Today, we have over 130 users, in multiple worldwide locations, all utilising the same database. Collier Pickard take a great deal of time and energy to understand our ever changing business needs, and are able to provide clear, concise guidance to assist our development. Sharing their expertise has helped us avoid many expensive mistakes. Build profitable relationships through advanced lead tracking and sales opportunity management. Sales management and sales forecasting tools built into Maximizer CRM make tracking sales pipelines simple. At a glance reports and visual dashboards help keep sales teams motivated, focused and accountable. Automated alerts make sure the right people follow up on leads and track the status and source of every opportunity to measure your sales and marketing funnels and conversion rates. With automatic multi-phase campaign scheduling, easy to use web forms, a return on investment (ROI) calculator and more, Maximizer CRM is built to support marketing efforts across the board. Create precisely targeted lists for marketing campaigns, send HTML or plain text emails from within Maximizer CRM, and track open rates, click-throughs and preferences with its built-in CRM Campaign Manager. Wizard driven web forms can be customised, branded and used for events, surveys and more, with records being imported directly into Maximizer and automatically assigned to the right sales person. Create trouble tickets, complete with details that can be tracked and searched for using case numbers, product categories, assignments and more. Use alerts and notifications to escalate and resolve issues rapidly. Maximizer CRM’s Knowledge Base lets you create a fast, searchable, online repository of detailed product information for your clients. This repository helps you to reduce in-bound calls and share incident resolutions with colleagues and can also act as an FAQ on your website. Self-service functionality enables customers to login to a web portal integrated with Maximizer CRM and access customer service cases. Using a mix of Maximizer CRM’s out-of-the-box functionality and the KnowledgeSync workflow engine, you can monitor your system for activities and trigger appropriate actions – from emailing your customer to sending a report to an executive. Automate virtually any standard or unique process by defining the parameters and the desired outcome. Make sure you are aware of potential issues by using triggered, action-oriented alerts in Maximizer CRM. Notify your team when a metric reaches a critical point or schedule notifications such as a daily reports on overdue activities. With 90 out-of-the-box queries and 50 events, you can establish comprehensive alerts and notifications as soon as Maximizer is deployed. Auto-respond to enquiries sent by email or routed through your web forms, to ensure no enquiry goes unanswered. Workflow Automation allows you to create email auto-responses and automatically assign enquiries to the appropriate department or individual in your organisation. To ensure Maximizer CRM delivers exactly what your organisation needs, the system is highly customisable. Our team has been developing and customising Maximizer for 25 years and can help you ensure your CRM system supports your company culture and working environment. Midland Valley has been a client of Collier Pickard since 1996 when they helped us with our installation of Maximizer CRM. Since then we have upgraded versions twice and have been hugely supported by the technical team during the migration and whenever we have any questions. They know their product and their customers inside out and as a result have provided us with a solution that fits how we work. We’re very happy with the service and relationship we keep with Collier Pickard. Make outgoing calls directly from Maximizer CRM, capturing vital customer history and improve call accuracy. 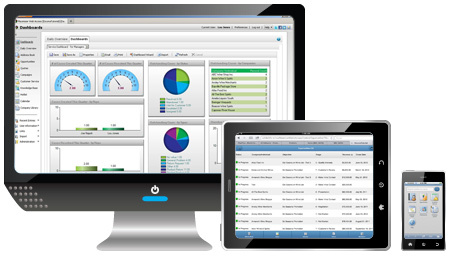 Maximizer CRM integrates with most VoIP software systems, Skype and some traditional phone systems. Bridge the gap between Maximizer CRM and HubSpot, the all-in-one inbound marketing software. Marketing leads generated in HubSpot will seamlessly flow into Maximizer CRM, putting HubSpot’s lead intelligence and prospect profile into the hands of your sales team. By assigning scores to each lead generated in HubSpot you can control which leads are sent to Maximizer for further action. Bi-directional syncing allows new records that originate in either Maximizer CRM or HubSpot to be instantly passed to the other. Closed loop reporting helps you keep track of which marketing efforts are enabling sales to close leads, enhancing future decision making. And, Contact Profiles can be customised to suit your needs as fields are mapped from Maximizer to HubSpot to ensure accurate information and segmentation. Use the Maximizer Connector to link Maximizer to MailChimp, a leading email marketing platform. We have also developed integrations with dotmailer, a very functionally rich marketing tool. View Outlook messages inside Maximizer CRM and automatically save them to customer records, or use the Maximizer CRM toolbar inside Outlook for one-click saving of emails. With Maximizer CRM you can also personalise Microsoft Word documents such as proposals, quotes and letters with any field from your CRM customer data. Attach these documents to customer records, and store other company documents, from forms to reports and product information, in a central repository to keep your staff using the most up-to-date information. Maximizer has highly configurable Excel reporting as out-of-the-box functionality – from customer information, to opportunities, service cases, and campaign metrics. You can also export data to Excel with just one click. Synchronise your data with other systems such as inventory management or ERP, in real time or at scheduled intervals, using XML. Additional windows can be created within Maximizer CRM to display the information you need, ensuring all customer-facing staff can see the information they need within one system. These days, the vast majority of implementations are cloud-based, often on our servers, which means that you don’t have to worry about server specifications etc. For on-premise, or private cloud deployments, please contact us to discuss the requirements for your solution. Take out an annual support contract with Collier Pickard for full access to remote, online support and telephone help desk support. Get priority assistance for issues large and small. Buy support hours up-front, charged at an hourly rate. Access to remote and help desk support. For top tips, the latest version release notes and general information and news, read our Maximizer CRM Insights blog. 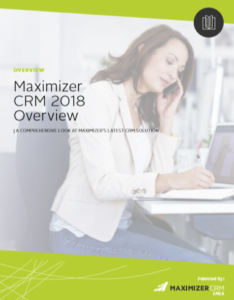 Tell me more about Maximizer CRM 2018!